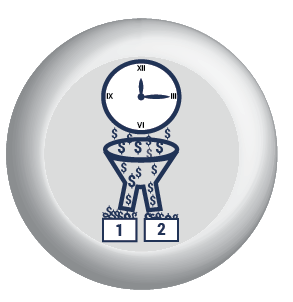 Is It Time for a Change in Your Time and Attendance Software? Tracking attendance and vital labor statistics can be a monumental undertaking. With Checkmate HCM’s Time & Attendance module we can help you implement the most complex labor calculations while utilizing an intuitive, streamlined interface for employees and management to perform a multitude of functions. Our system automates tedious, everyday tasks such as job costing, alerts and workflows for missed punches, multi-level security and approvals, flexible and blended pay rules, mass edits and comprehensive vacation accrual calculations. 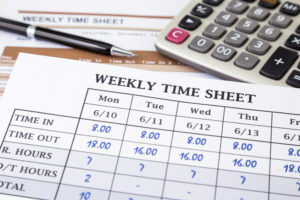 When used in conjunction with our payroll services, time card data is readily accessible for easily reviewing and processing your next payroll. Need a time clock or time tracking app? We’ve got you covered there, too. 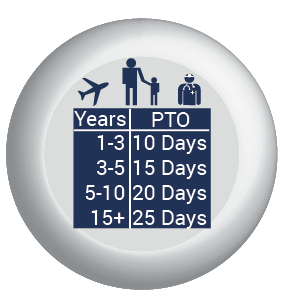 Automatically handle the most complex PTO accrual calculations and tracking with ease. Easily maintain accurate records of your project labor costs for accounting, budgeting and analysis.